This is not your typical wrap-around, since it wraps in the back. 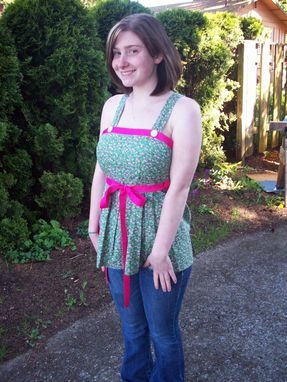 The straps go over the shoulders and button in the front, like overalls. 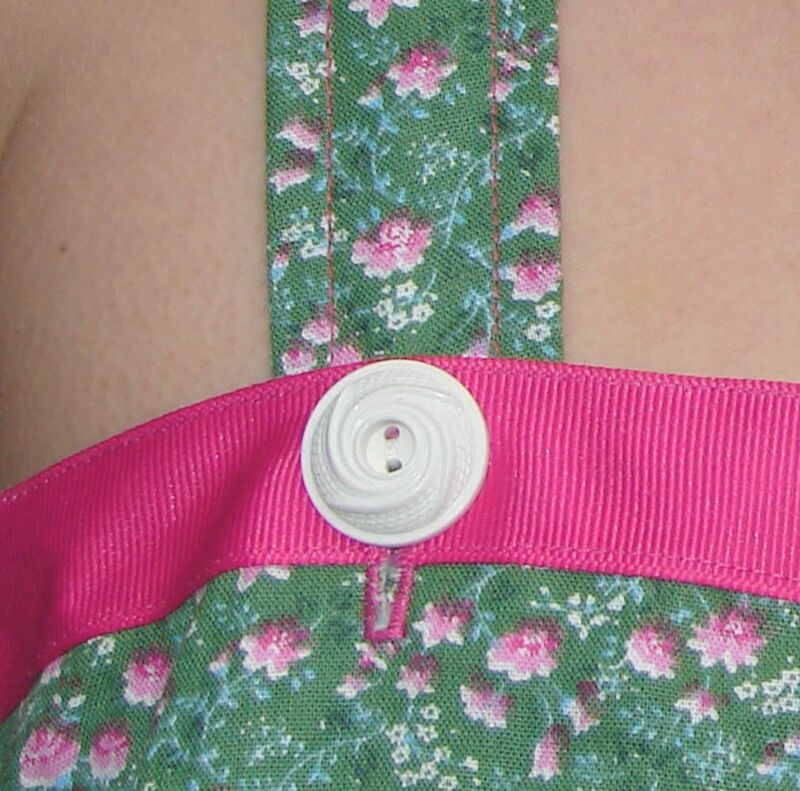 A coordinating hot-pink grosgrain ribbon provides flexible closure around the high waist. It pokes through a hole in one side and through a belt-loop on the other side, then ties in the front. The result is adorable and comfortable. The straps also have a degree of adjustability. If they are too long or too short, move the buttons up or down the strap. If you send me the measurements I need, I can move the buttons on the straps for you. 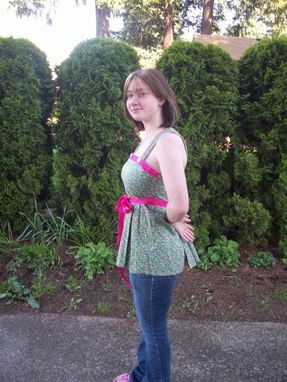 To find out how long you need the shoulder straps, start at one side of your back, at the lowest part of your bra. 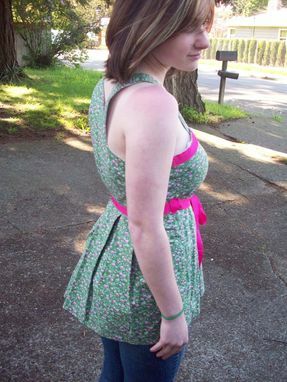 Bring the measuring tape over one shoulder to the front. Read the tape at about where your bra strap is connected to the cup. See the illustration in my photo gallery to the right. If you want your buttons moved, let me know in the "Message to seller."